Why the ABCC is bad for workers. 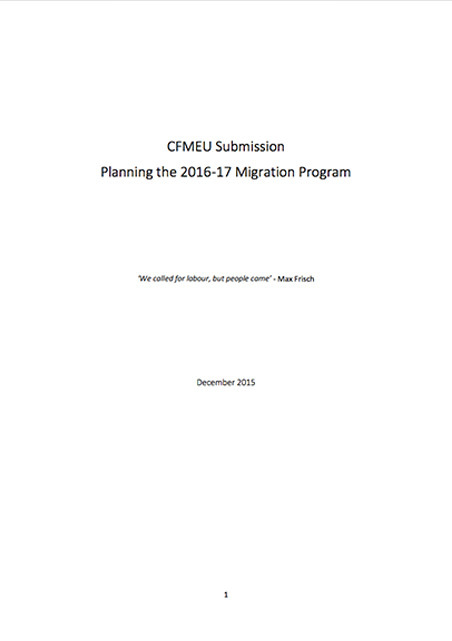 CFMEU submission to the Senate Education and Employment Legislation Committee on the ABCC. 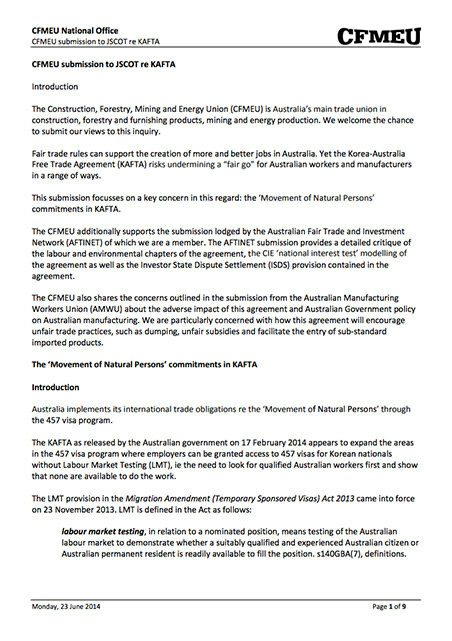 Submission by the Construction, Forestry, Mining and Energy Union, the Australian Manufacturing Workers Union, the Australian Workers Union, and the Transport Workers Union of Australia. 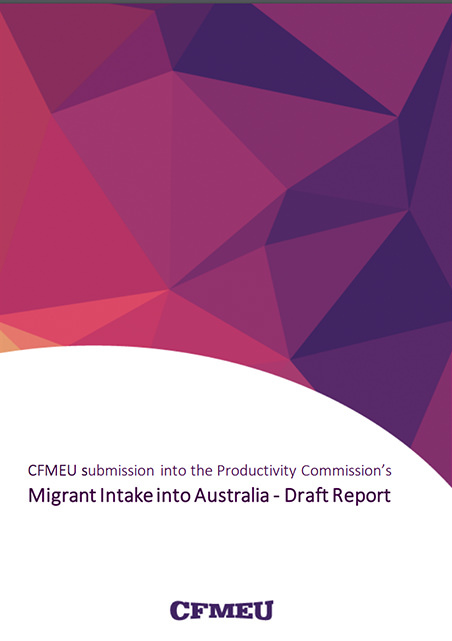 The Department of Immigration and Border Protection is seeking comment on migration policy to provide advice to the government on the 2016-17 Migration Program which will inform the size, balance and composition of Australia’s future migration intakes. 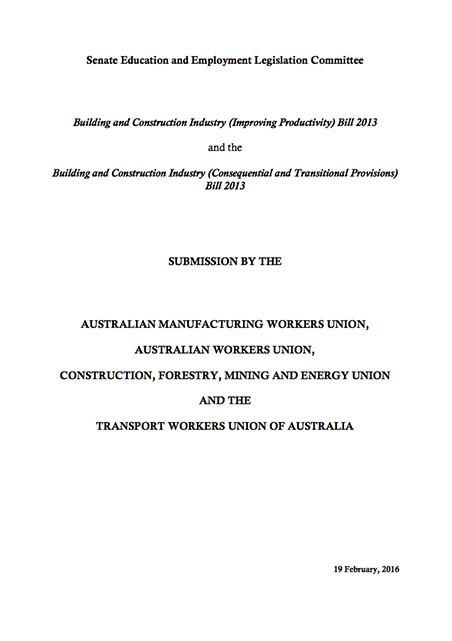 The Construction, Forestry, Mining and Energy Union (CFMEU) is Australia’s main trade union in construction, forestry and furnishing products, mining and energy production. 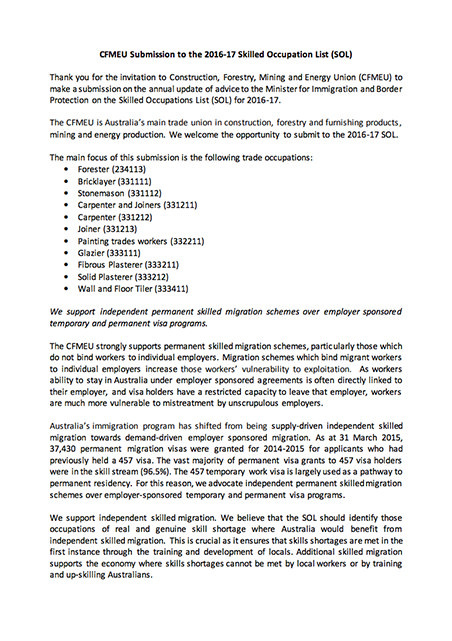 We welcome the opportunity to submit comment to the Department of Immigration and Border Protection. 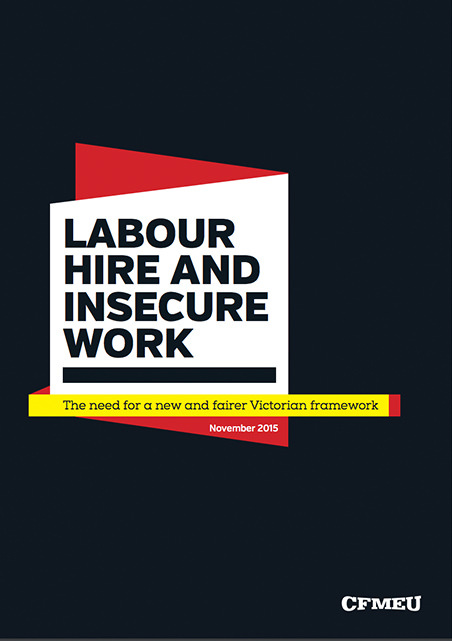 Recent media exposés of the exploitation of working people in Victoria’s labour hire industry have highlighted the insufficiency of current regulation and its inability to provide protection for Victorian workers. 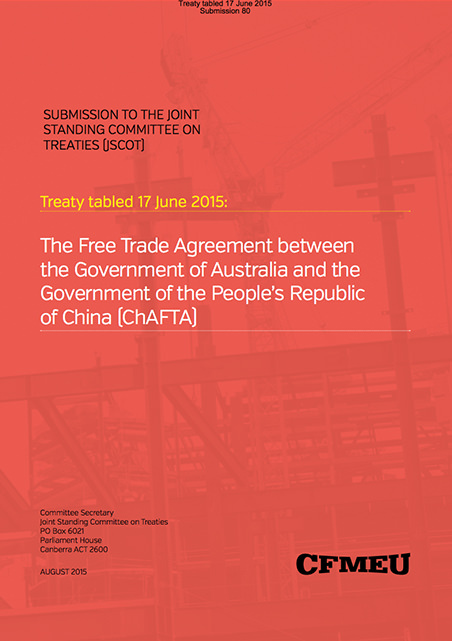 ChAFTA is the worst trade agreement that an Australian government has ever signed and attempted to impose on the Australian public.